Successfully Added Waterproof MP4 Player 1GB - Waterproof Earphones + Armstrap to your Shopping Cart. 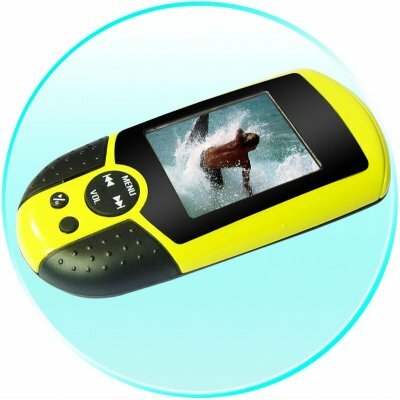 For all you people who have asked and looked for a MP4 player that is safe to take with you to the pool or to the beach, Chinavasion presents the new 1GB Waterproof MP4 Player. This is a great Gadget to wow your friends with as you completely submerge it up to 3 Meters underwater, and listen to crystal clear music as you do so. Added to this is the super fine quality earphones packaged with every order that keeps water out of your ear, and pipes the music directly into your ear. Included as well is an arm band that you can attach the Waterproof MP4 to as you jog or swim, as well as a neck strap you can use. Finally there is a affordable choice for a PMP that will let you swim, bathe, surf and do whatever else you want while in or near water..